The singer has come out to speak about the terrible ordeal she went through while she was trying to give some job-seekers money near her house. Just when she was busy doing good for the unfortunate, Zahara found herself in the eye of danger recently. The singer showed pictures of her wounds with a lengthy caption explaining what had happened to her. “I always believe that when you have a loaf of bread, one could still be able to share just a little with someone else. If you have 1000 surely even an R5 would be worth something to someone. 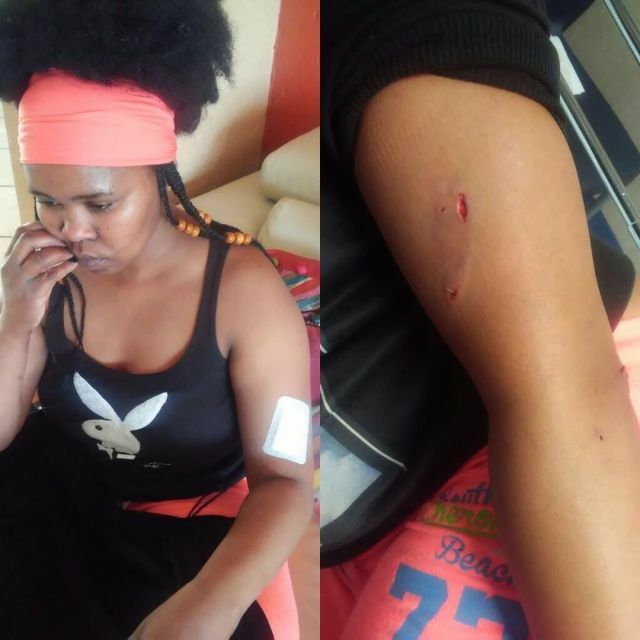 I was due to be in London UK on Wednesday for the Mandela concert, however, couldn't make it because Tuesday night just as I drove by Spar in my area I reached out to give “job seekers” some money instead they reached out grabbed my arm and stabbed me, tried to open my door, with the intent to cause more body harm.